LISTEN NOW! As Greg, John, and Pat discuss the journey of Apostle Paul. They discuss how many people today proclaim that Jesus is Lord but in reality they are giving lip service. They discuss that much of Paul’s ministry took place in the country of Turkey and how today we see the continual rise of the Ottoman Empire. They continue to discuss how the seven churches written about in Revelation were all located in Turkey. 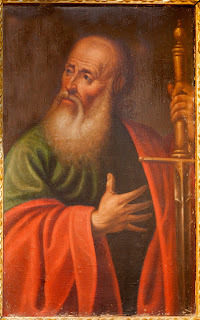 Paul was sent to the Gentiles. He suffered much and labored much for the Lord. In the midst of great advancement of the Kingdom Satan was always trying to come against Paul. They continue to discuss it’s always a good sign when Satan is trying to steal away what you are doing for God. When we take a glance at Paul’s life and how he was not involved in politics and just resolved to know Jesus. He did this only to have the “religious” people of that day to use the government to do him in. The religious people of the day even fasted saying they were going to kill him. Paul did many amazing things throughout his ministry; planting church’s, ministering truth to power, and writing most of what we call the New Testament Bible today as he was shackled in jail. All of that good and then eventually being beheaded. They continue to discuss how they are embarrassed when comparing their life to Apostle Paul. Keeping CHRIST in “CHRISTmust” this year!